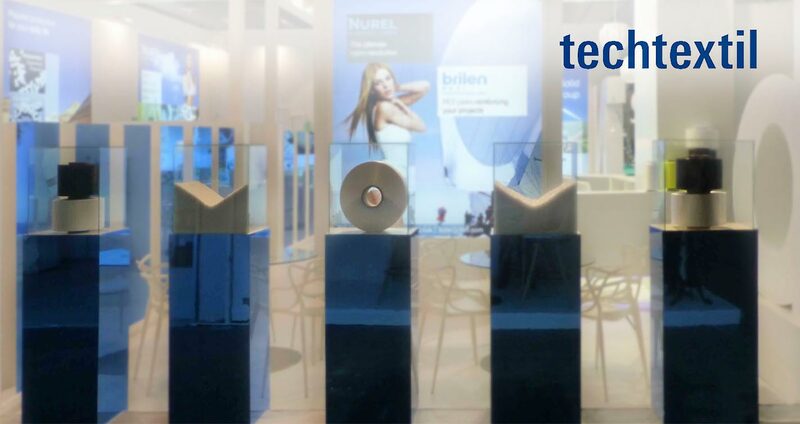 From 4th to 7th May 2015 NUREL is showcasing its synthetic fibres at TECHTEXTIL Leading International Trade Fair for Technical Textiles and Nonwovens at Frankfurt. The 16th TECHTEXTIL fair has become the undisputed top event worldwide in this sector. According to Messe Frankfurt, the event recorded 42,000 visitors from 116 countries to see four days of the world’s largest selection of materials, processes and technologies along the entire technical textiles value chain. TECHTEXTIL showed with its 1,389 exhibitors — an increase of 4.4 percent compared to the previous event — the largest ever exhibited range of technical textiles and nonwovens in the world.